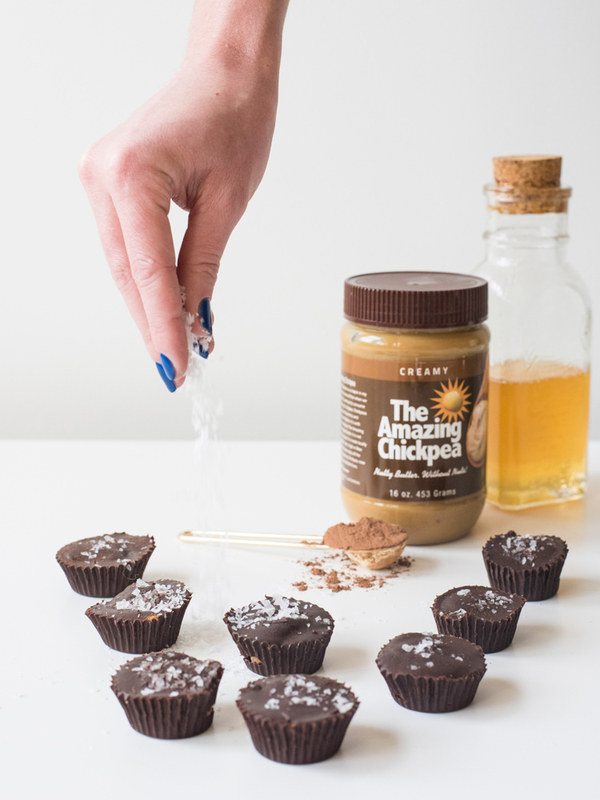 A delicious spin on the classic Chickpea Butter Cups, the Maple Butter Cups are an indulgent snack made right in your kitchen! These tasty treats are great frozen or room temperature. The chickpea butter filling and the creamy chocolate is the perfect combination! Start off by preparing the chocolate double broiler style (if you do not have one you can use a pot filled ¾ full of simmering water with a glass bowl fit snug over the top). The coconut oil and semi sweet chocolate should be melted together first. Once they have reached a smooth texture, whisk in the honey, sugar, and cacao powder. I recommend adding the salt last to match your own preference on the salty sweet approach. Now the fun begins: you will need to prepare your muffin tin with liners and fill them with the chocolate just enough so that bottom is covered - then into the freezer (for 15 minutes or until solid) they go! 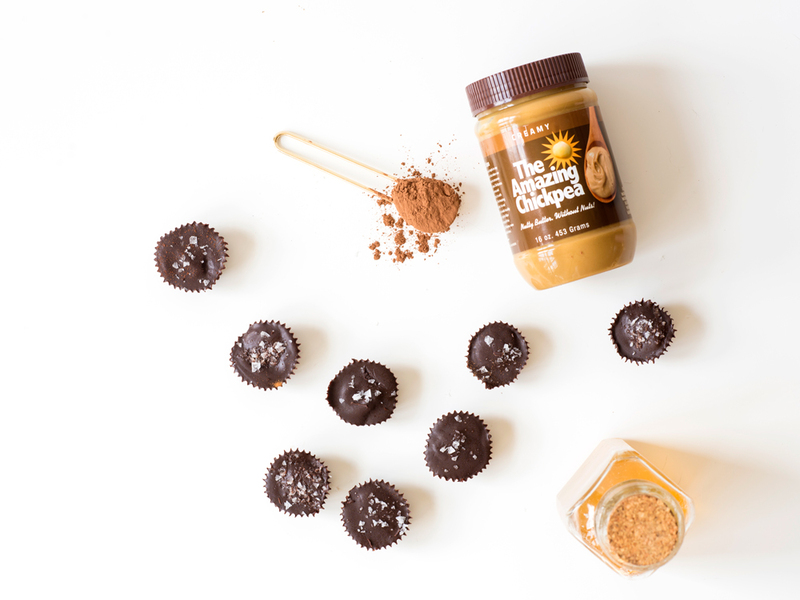 While the chocolate sets, let’s get working on the nut butter filling, which is as simple as combining all the ingredients together until a dough is formed (it is recommended to taste the dough to make sure, once again, the saltiness is to your liking). By this time the chocolate should be frozen and you can begin spooning the dough by the 1/2 tablespoon and rolling them between your hands into balls. Proceed to flatten the dough between your palms to just under the size of the liner (this allows the chocolate to cover the whole cup). Now drop the dough in the cups and pour the chocolate over the top filling the liner. Place them back into the freezer until completely solid. If the paper doesn’t easily peel away from the cups they should be put back. After about 45 minutes they should be solid and ready to eat! Enjoy!